Ohio is poised to become the first state to allow businesses to pay taxes with bitcoin in a new initiative that may become available to individual taxpayers as well. The Wall Street Journal reported Sunday that businesses in the state will be able to register at OhioCrypto.com to pay state taxes with bitcoin beginning this week. The program, which was ushered in by Ohio Treasurer Josh Mandel, will use third-party service BitPay to process payments. Although it has had success as a tradable asset, it hasn’t gained broad acceptance as a form of payment and has been dogged by concerns that it is used to pay for criminal enterprises. Ohio’s move wouldn’t give bitcoin legal status, but it would be a kind of tacit approval bitcoin has so far lacked. Tax offices accepting bitcoin “does help send a message that bitcoin’s a technology that can be used by anybody—by bad guys but also by the government,” said Jerry Brito, the director of Washington, D.C.-based research firm Coin Center. Businesses can currently pay 23 taxes through the program, including withholding tax, sales tax, and tax on tobacco products, among others. Any business that operates in Ohio—including those that aren’t headquartered there—will be able to pay taxes using bitcoin, and the program plans to eventually accept more forms of cryptocurrency in the future. While individual taxpayers are currently ineligible for the program, the Wall Street Journal reports that “eventually” individual filers will be able to use the program to pay taxes as well. As for whether Ohio businesses will actually make use of the program, that remains to be seen. 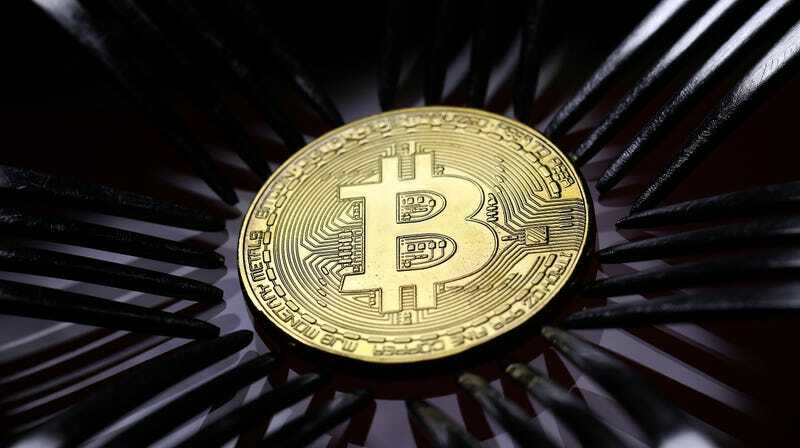 Though Ohio’s initiative may be great for bitcoin’s image, the program’s launch arrives as the price of bitcoin fell to below $4,000, and Coin Desk reported Sunday that bitcoin faced its worst weekly loss in more than five years. In an apparent effort by the Ohio tax initiative to assure businesses of its program, it specifically addressed cryptocurrency volatility on its website.